Security Systems in Ontario, Canada. A.S. Security & Surveillance works closely with local and surrounding Chamber Of Commerce, industry associations, Health Canada and Medical Cannabis producers to offer the most innovative and high quality CCTV Video Surveillance Systems with a goal for any Marijuana business to obtain the official licence and permit. Health Canada requires very detailed and strict guidelines and requirements to be followed and all marijuana produced legally must follow every industry standard and regulation. We provide state of the art CCTV video surveillance and security equipment by the most reputable brands in the industry including Bosch, Panasonic, Vivotek and Axis. In addition to advanced cameras, our VMS software offers full analytics technology created to offer the visual monitoring and recording of your medical Cannabis production facility as well as the entire outdoor perimeter 24/7 including 4K, PTZ, thermal imaging and licence plate recognition cameras. 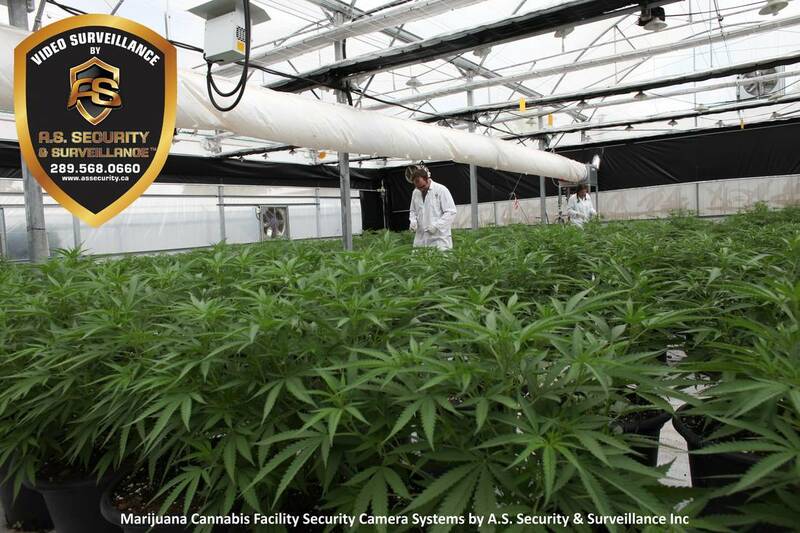 For a free and confidential estimate about your Marijuana Cannabis Security System needs in Ontario, please contact A.S. Security & Surveillance in Hamilton at 289-568-0660. All conversations are strictly confidential and if required we will sign any necessary confidentiality agreement.